Some holiday shoppers don’t have enough money or time to buy presents for all of their loved ones and resort to re-gifting. In a recent survey, CreditDonkey found that 83 percent of respondents believe that re-gifting is an acceptable holiday practice. A small business owner can raise visibility for an establishment by distributing unique promotional products that would make great gifts. 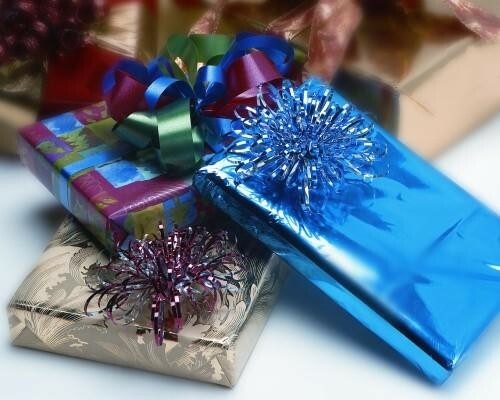 The Baltimore chapter of the American Marketing Association (AMA) points out that consumers would rather share branded items than discard them, and companies can easily capitalize on the re-gifting craze. Owners can encourage customers to use smaller items like promotional pens and flashlights as stocking stuffers. These gifts aren’t extravagant, but they’re functional and can be fun. For instance, a pen with a snowman on its cap may be an appropriately festive re-gift. Small giveaways have two primary advantages – they’re inexpensive and memorable. Instead of buying a few lavish branded items for a select group of clients, you can buy larger quantities of these smaller products and distribute them to more patrons. As your holiday shoppers share the promotional items with their loved ones, your business will be marketed to a larger group of consumers. According to Promotional Products Association International (PPAI), promotional gifts that cost less than $5 are some of the most memorable. In a 2011 survey, PPAI found that 32 percent of respondents remembered receiving inexpensive giveaways – the highest rate for all price ranges. You don’t have to limit yourself to inexpensive items, however, as other branded products can help you advertise to large consumer groups. Calendars, mugs and thermoses are common presents consumers give around the holidays, and you can distribute all of these items so they’ll be re-gifted. These promotional items can work especially well for business-to-business (B2B) companies because the re-gifts are more likely to be used in offices. For instance, promotional wall calendars that are given to co-workers reinforce a vendor’s brand within that establishment. Travel mugs can be effective giveaways and re-gifts, as they’ll advertise your business regardless of who uses them. Whether the present is given to a student who drinks coffee in class or a worker who brings tea to meetings, your logos will be on display to large groups of consumers. Re-gifting will always be a popular money-saving strategy. A small business seeking to raise its visibility could do well by distributing promotional products that can make great presents during the holidays. I hope it will be a great pleasure to visit your blog again..